The southernmost Indian state of Kerala recently welcomed lovers of Prophet Muhammad from all over India and abroad. On 25 December 2016, the 13th annual milad conference was celebrated in the city of Kozhikode [Calicut] on the shore of the Arabian Sea, known for its centuries-old culture and heritage built on peaceful cooperation and international trade. This year's conference, however, had much to do with significant challenges growing among the Muslim communities, and seemingly affecting their religious identity. Unlike other Indian states, located in the world's largest democracy, Kerala has always possessed a rich history of interfaith harmony, social reciprocity, and religious freedom founded in democratic norms. Almost all the world's religions have established a presence in Kerala, thanks to frequent visits by foreign travellers, and merchants interested in spices. In the time of Prophet Muhammad (PBUH) himself, a group of his companions landed in southwest India on their way to Sri Lanka. The Muslims were received warmly and allowed freedom to preach. 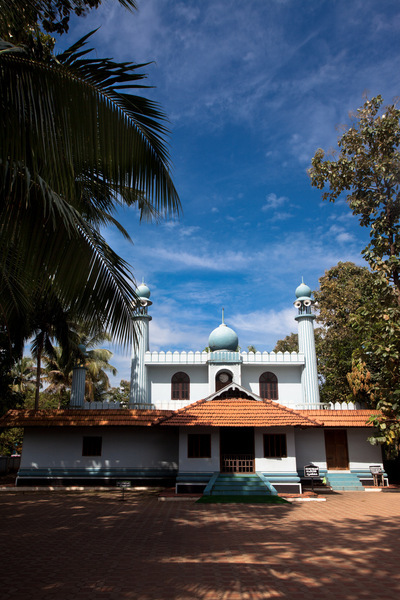 South India became a centre for many religious believers, sheltering places like Kodungallur where the traces of the distinct world religions are found – including traditions of the Cochin or Malabar Jews, of missionization by the Christian Saint Thomas the Apostle, and the oldest mosque in India, the Cheraman Juma Masjid. Kodungallar is an Indian 'little Jerusalem'. The 7th c. CE Cheraman Juma Masjid in Methara, Kodungallur Taluk, Kerala. Photograph 2013 Via Wikimedia Commons. Believers in other religions came to honour and appreciate the observances of the Muslims. This benevolent situation endured until the beginning of the 20th century CE when radical elements appeared and offered interpretations of Islamic scripture and canonical texts, presented as an effort to reform the religion of Islam to make it more compatible with the modern world. These doctrinaires denounced many spiritual practices that had been approved unanimously by a considerable number of outstanding Muslim scholars through the centuries. A group of Keralite theologians came forward under the title Samastha Kerala Jamiyyathul Ulama (Samastha, the All Kerala Community of Muslim Scholars), which sought to protect religion from these trends through various endeavours. Yet the regional infiltration of Wahhabism continues, bringing the shocking news that Muslim men from around the state have reportedly joined the so-called 'Islamic State' (ISIS) with their spouses, after previously becoming involved with the Wahhabi movement. While secular media and many cultural figures choose to criticize Islam and its scriptures as leading factors in terrorism, we are required to analyse the roots and remedies for religious radicalism. Wahhabi ideology offers its followers an attenuated, withered iteration of Islam, divested of its essential and genuine spirituality. The authentic, erudite ulema of Kerala are committed to revival of religion in epistemological and sociological terms. In 2004, Sheikh Aboobacker Ahmed launched the International Milad Conference to spread through the vastness of Indian Islam the global culture of Milad-an-Nabi – the celebration of the Birth of Prophet Muhammad (PBUH). This is but one example of how the ulema replied to the allegations and misconceptions raised against them and against traditional Islam. Each year the International Milad Conference has drawn growing crowds of believers who see in it a high point of the Islamic hijri month of Rabi ul-Awwal, of which the 12th is favoured for milad. The assembled have listened to the beloved Sheikh Aboobacker Ahmed and other eminent authorities, expounding Prophetic mercy, the lessons of mutual respect, and the consciousness of a community that has flourished on principles of unconditional love. Participants learned about life in a pluralistic society, which made their religious and spiritual discourse vibrant and dynamic. With each annual conference, education about their Prophet expanded. These conferences emphasized tolerance, compassion, obedience to law, and patriotism toward their nation. They also fostered opportunities to teach secular society the reality of the Prophet of Islam and his contributions to the betterment of all humanity. Those who joined in milad experienced the epic recounting of the life of the Prophet (PBUH) through eloquent lectures, beautiful songs, and acts of kindness and generosity. 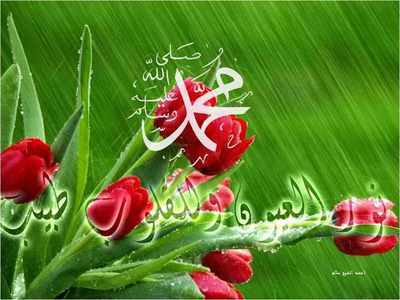 Milad is a means of dispelling terrorism and repelling distortions about Islam and its Prophet. Milad [Mevlud] greetings, issued by the Islamic Community of Bosnia-Hercegovina.